Towing your Jeep behind your Motorhome or RV? You need to be street-legal, and the only way to do that is with a Jeep Wrangler RV Towing wiring harness that's designed for a 7-way trailer connector. 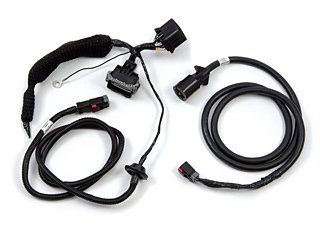 This Jeep Wrangler wire harness features an under-hood wiring disconnect and is designed to work with your Jeep's body computer. It operates the Wrangler taillights, and its simple installation will have you on the go in no time.